It’s no secret that Facebook’s mishandling of consumer data has landed it in hot water. 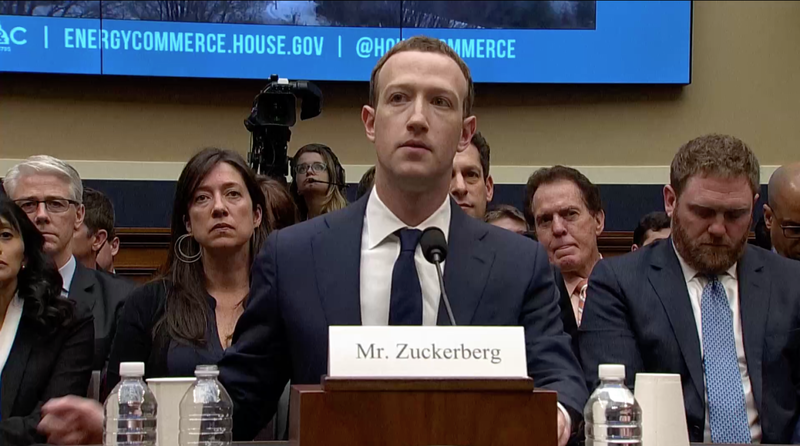 This forced the social-media behemoth’s CEO Mark Zuckerberg a date with Congress to explain how data from an estimated 87 million Facebook users was leveraged to influence voters during the 2016 election. And this blunder wasn’t a one time thing. Facebook was hit by scandal after scandal in 2018, including a software bug that disrupted privacy settings for 14 million users. We’ve also learned that Facebook offered advertisers special access to users’ data and activities. Zuckerberg is a smart man; he probably wasn’t surprised that this litany of data and privacy misconduct resulted in his company’s legal trouble. But no one expected it to directly affect his expansion plans into the multibillion dollar esports industry. Facebook has been investing in gaming since 2016, when the company announced they were building their own Steam-style gaming platform — and of course, its social games of a decade or so ago were part of its massive growth. More recently, the social media giant has been offering gamers paid deals and a chance to earn donations from fans, desperately doing anything they can to compete with Twitch, Amazon’s gaming-centric, industry-leading livestreaming platform. But the gaming community doesn’t just let anyone into their inner circle. Gamers tend to be a tech-savvy group of people who place a heavy importance on online identity and, most important, online security. And with Facebook’s constant privacy issues, in addition to their apps taking advantage of things like microphone access to gather data, this will undoubtedly lead to a reluctance from gamers to adopt and trust the platform. They also remember Facebook’s association with grandparents and kids playing Farmville, which was the opposite of cool. There is also a huge cross-over between gamers and Reddit, which is known as “the front page of the internet” and responsible for many of the conversations and viral content that shapes digital culture. And the Reddit community is notorious for being able to smell an ad from a mile away. Facebook has its work cut out for them when it comes to getting gamers to buy into their half-hearted foray into the medium, just to collect some additional ad revenue. Gamers are not going to throw their principles out the window, just because Facebook writes a large check to an esports league or event organizer. And if you can’t get support from the backbone of the community, it’s going to be hard to find any sort of sustainability. Younger generations just don’t think Facebook is cool anymore either. In 2017, Facebook lost about 2.8 million U.S. users under 25, and they are estimated to lose another 2.1 million this year. This is an influential demographic in the gaming community and will definitely play a role in their sway on the industry. But Twitch has become the default home to the gaming and esports community, with anywhere between 2.2 and 3.2 million monthly broadcasters. This includes some of the biggest game streamers in the world like Ninja, who spent more than 3,800 hours livestreaming on Twitch in 2018. Overall, the company has more than 100 million monthly active users. Microsoft’s Mixer has reached more than 20 million viewers per month, doubling from where it was six months ago. The livestreaming platform owned by Microsoft also stresses a message that is important to gamers: community and the aspirational gamer. Facebook may have started as a “community-driven” site, but that’s gone. That likely means a long road back to the trust it will need for gaming to become sustainable there. Based on how the last couple years (and depositions) have gone, it now seems like an unlikely and challenging goal for Facebook. Ed Tomasi is the Managing Director of esports at creative content company Big Block and co-founder of its media platform Subnation, which celebrates the culture and lifestyle of gaming.